Beth Michalak is Varen’s Chief Financial Officer. 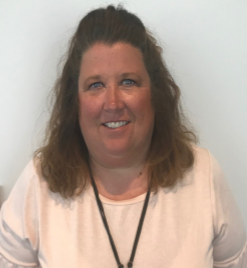 Beth is a Senior Level Government Contract Industry Business Manager with 30 years of experience in program execution, financial analysis, and process improvements. She will be leading Varen in financial and management support while identifying opportunities for greater efficiency. Beth was formerly the Corporate Business Management Director at KeyW. Beth grew up in a small town in Iowa and came to Maryland after college and has come to love the mild winters compared to the constant feet of snow in Iowa. Beth has over 30 years of experience in government contracting, and has focused her career in accounting and finance. She began her career with DCAA which gave her a unique and useful experience enabling her to utilize her knowledge to make sure all systems are government compliant. Her nerdy side loves budgets, indirect rate structures and proposals. Beth lives in Maryland with her husband and two sons. She spends most of her time on the baseball and football fields or basketball court. If she can squeeze in some spare time, her passion is cooking for all the families that hang out at their house. Education: Beth received her Bachelors of Science degree in Accounting at Northwest Missouri State University in Maryville, MO.